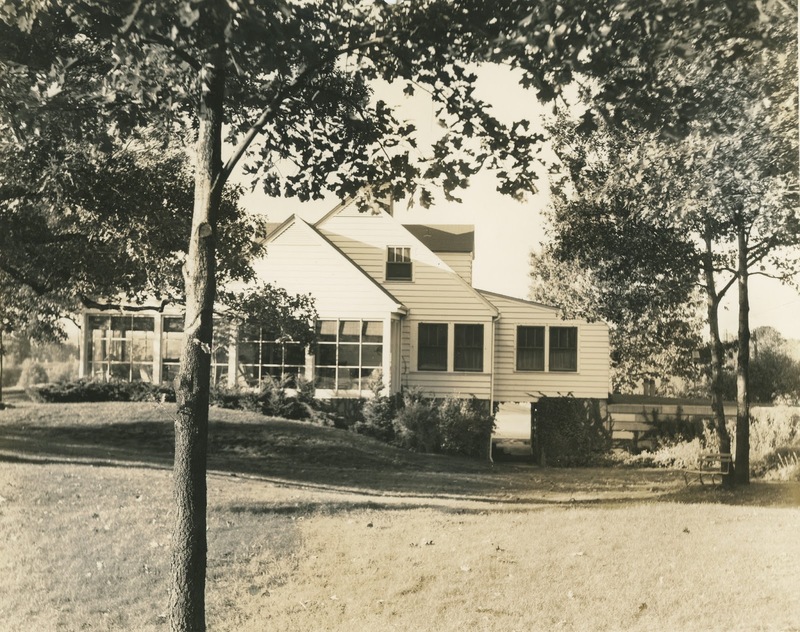 The story of Sunset Hill Farm begins with an individual named Robert Heffron Murray. 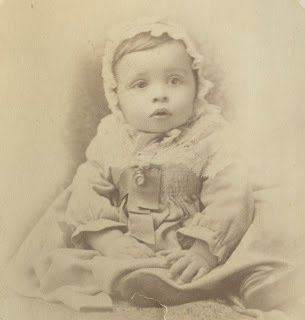 Murray was born on Wednesday, October 18, 1881, at Washington Heights, Cook County, Illinois, the son of George William Murray and Cora May (Heffron) Murray. Today, Washington Heights is now part of the City of Chicago. 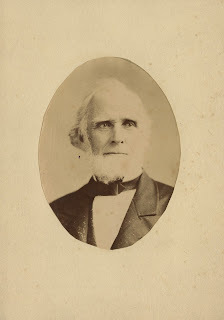 Robert's father George was born on March 12, 1848, in Niles, Berrien County, Michigan, the son of Robert Henry Murray and Mary Furber (Fisher) Boutwell Murray. George's father speculated to some degree in real estate and timber. 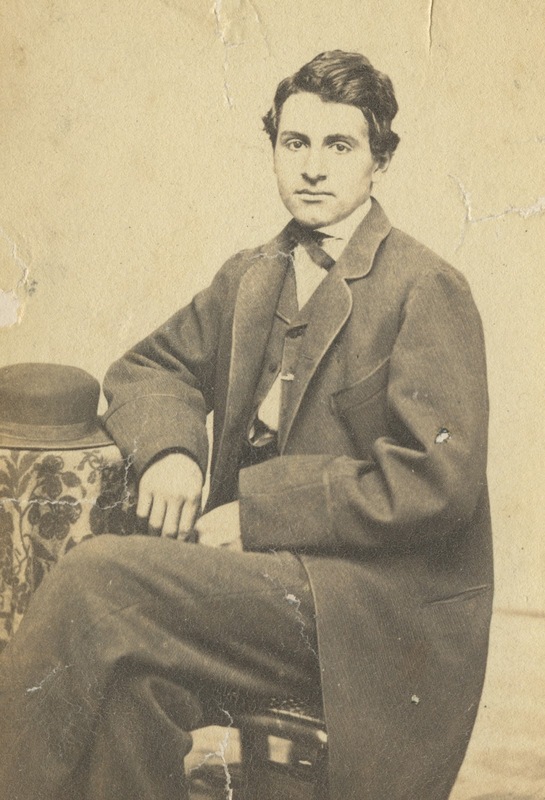 He purchased numerous tracts of timberland in Illinois and Indiana that were located relatively close to rail lines. The timber was then harvested and the wood sold as fuel to the numerous railroad companies that owned tracks aimed toward Chicago. Proceeds from the sale of fuelwood was used to purchase more land. 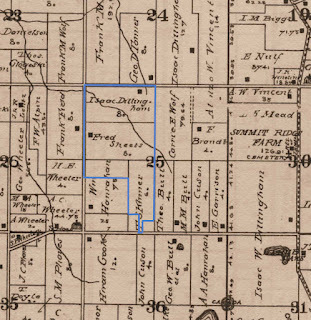 One of the larger tracts of land consisted of an entire section (640 acres) southwest of Chicago that Robert purchased in 1854. In 1916, 94 of the original 640 acres was still owned by Robert Henry Murray's children, George and Jane A. (Murray) Bevan. 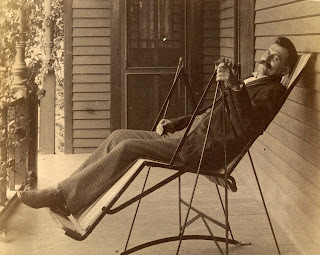 Robert Heffron Murray, at his home on September 12, 1891. 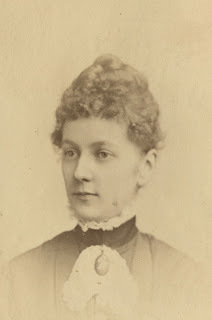 Cora May (Heffron) Murray, July 18, 1883. 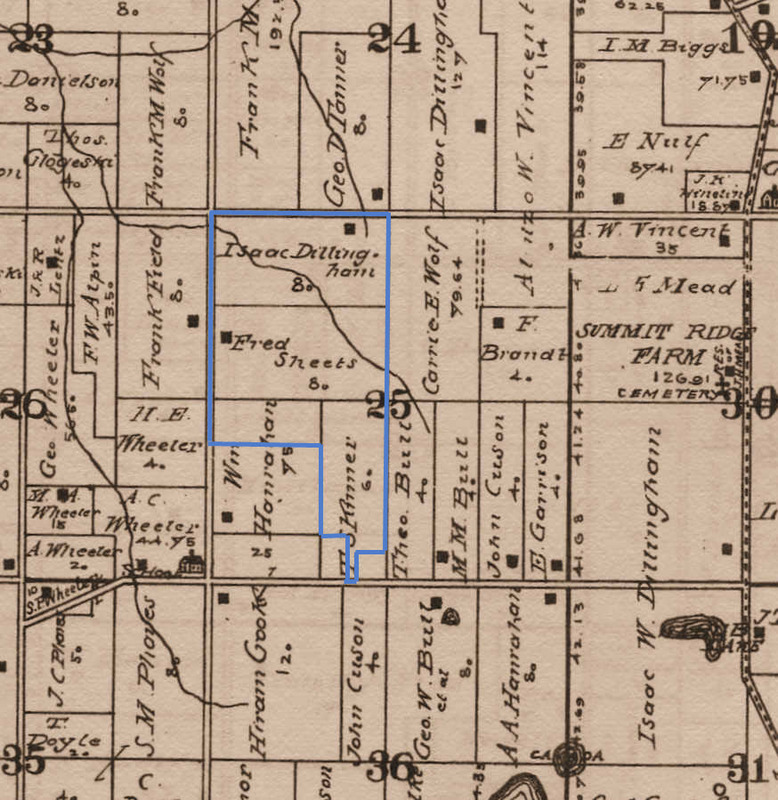 Other property owned outright by George W. Murray or in an undivided interest with family members included (1) an eight-room framed house located on a 100-foot by 125-foot lot at the corner of Princeton Avenue and 61st Street in Chicago, (2) 168 acres bordering the Calumet River that the family referred to as the "Farm Property," (3) four hundred feet of property fronting State Street in Chicago near 127th Street referred to as the "Wildwood Property," (4) a fifty-three acre tract in Indiana, and (5) a valuable seven acre tract in Lake County, Indiana, that would later become a component of downtown Gary. 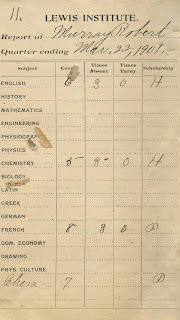 Education appears to have been a very important component in the lives of the Murray household. 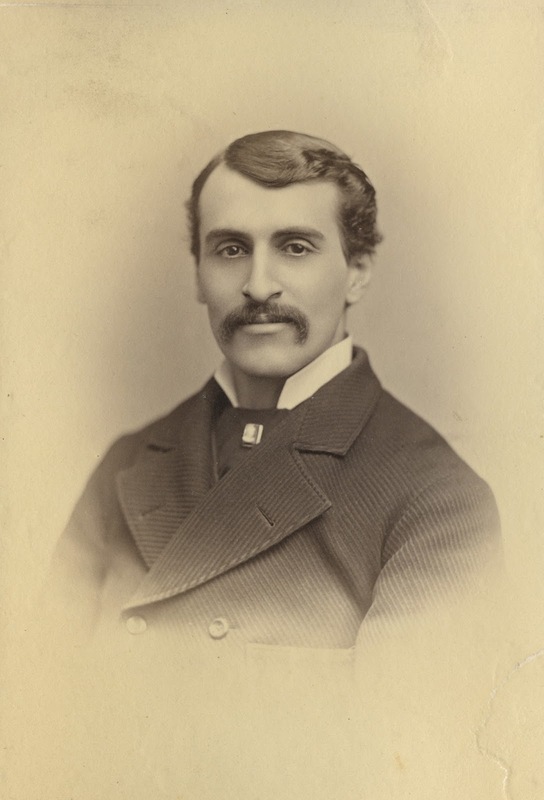 George earned a law degree at Cornell University in 1873. Upon graduation, he taught mathematics at the Cook County Normal School from 1873 to 1876, and then served as the legal editor for the premier railroad industry trade publication of the day, Railway Age. Later, George worked as a family and real estate attorney in downtown Chicago, where his office was situated in Room 1015 of the First National Bank Building located at 38 South Dearborn Street. 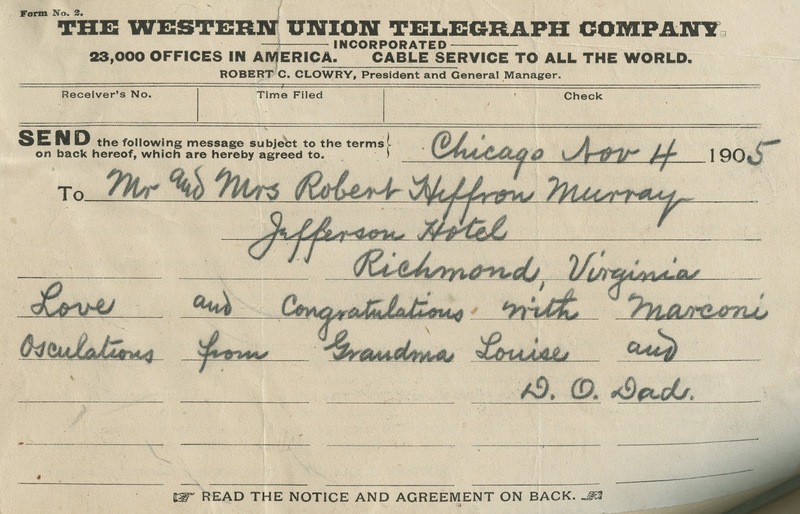 George W. Murray married Cora May Heffron on December 30, 1880, in Chicago, and a fruit of this union, Robert Heffron Murray, appeared on the scene ten months later. 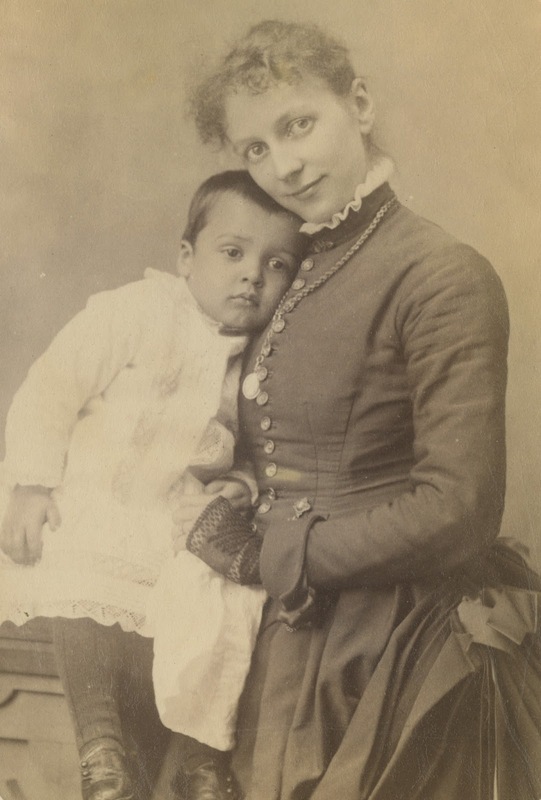 A daughter, Louise, was born on December 20, 1883. Cora referred to her son as Robbie. Photograph of ten month old Robert Heffron Murray, August 19, 1882. 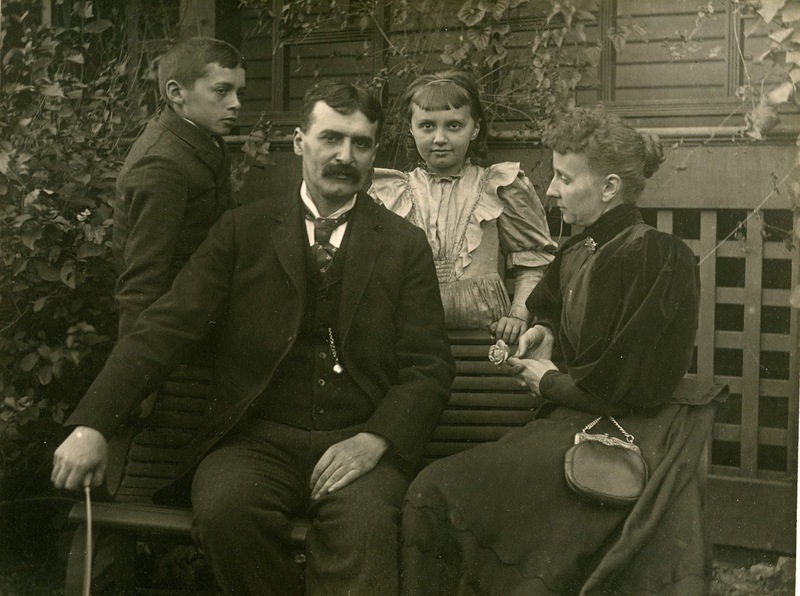 As children, Robert and his sister, Louise, led a privileged life growing up in the Longwood neighborhood of Chicago. This neighborhood is located roughly two miles southeast of the community of Oak Lawn on the Blue Island Ridge. 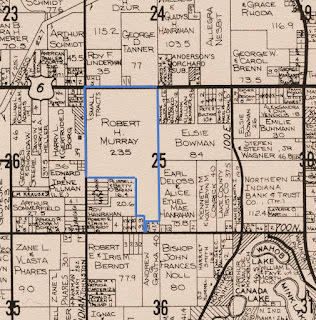 Some of property that Robert's grandfather purchased many years before was located just south of the family home. Robert's parents made a concerted effort to instill in him an appreciation for the arts. Robert was engaged in music, dance, and painting lessons as early as the age ten. 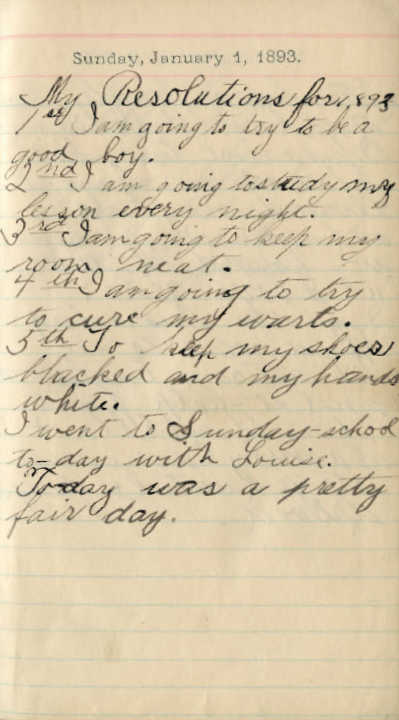 Robert's personal diary entries suggest that he very much enjoyed music and dance. 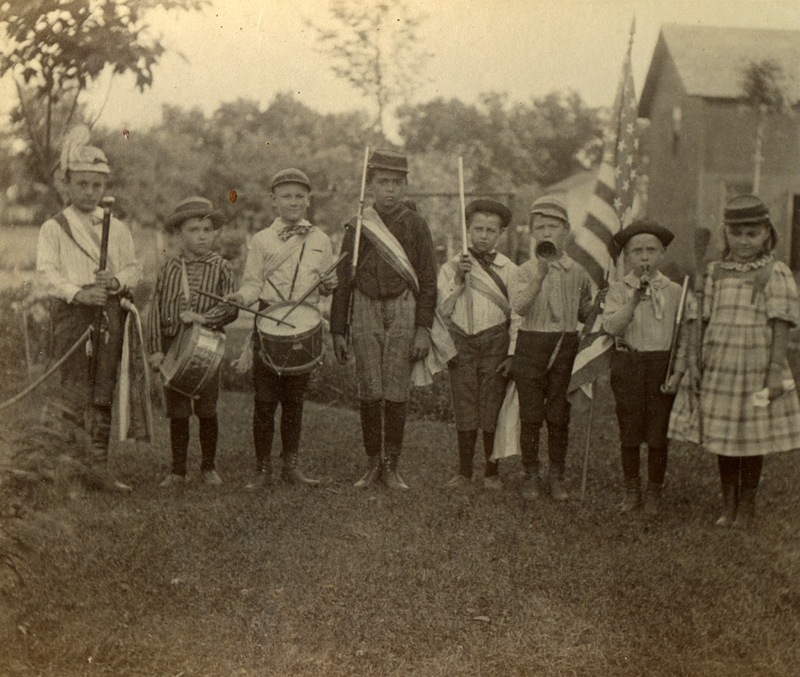 Photograph of the neighborhood children, July 10, 1891.
shirt, while is sister Louise is to the far right. 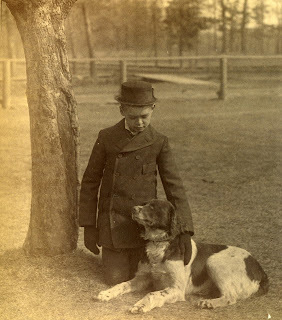 Photograph of Robert Heffron Murray and dog, March 20, 1892.
eleven years old when he wrote this entry into his personal diary. William Murray, Louise Murray, and Cora May (Heffron) Murray. In June of 1897, Robert graduated eighth grade from the Alice L. Barnard School, where he was awarded the Daily News medal. 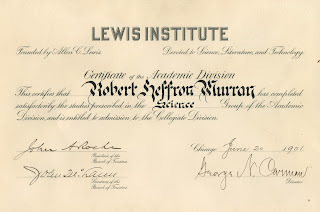 For his secondary education, Robert was enrolled in a private school, attending the Lewis Institute, a forerunner of the Illinois Institute of Technology, in Chicago. He resided with his family in a large, comfortable home. Like the arts, it appears that Robert's parents impressed upon him the importance of a solid education - especially with respect to the sciences, the natural world, and history. Robert Heffron Murray graduated eighth grade from this school in June 1897. 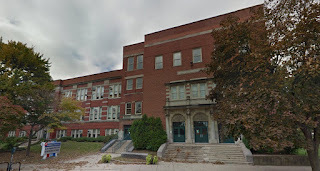 Heffron Murray graduated from this school in 1901. Lewis Institute in Chicago, March 22, 1901.
is seen here as Uncle Sam. Robert Heffron Murray in costume. At some point in his late teens, Robert Heffron Murray immersed himself in photography, and, in particular, kite aerial photography. During the summer and fall of 1899, Robert and his friend, Frank Cox, conducted several experiments in kite aerial photography. 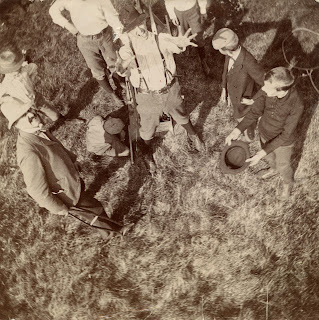 Their experiments were reported in local newspapers, with articles explaining the science behind Cox and Murray's studies and including aerial images taken by a camera attached to their kite. According to newspaper accounts, the experiments were conceived by Murray after he had read about similar work being conducted by the United States government at Blue Hill Observatory in Massachusetts for the purpose of measuring air currents for improved weather forecasting. Cox and Murray used a Hargrave kite, a type of box kite, that measured 108 inches in length and 96 inches in width. The total area of their kite was 125 square feet, 91 square feet being composed of lifting surface. The wood framework of the kite was made using southern yellow pine, while the bracing was made of No. 18 soft iron wire. The highest altitude that Cox and Murray's kite reportedly achieved was about 500 feet, but Murray is quoted in one article stating that the kite could achieve an altitude of 1,000 to 1,500 feet. Murray also stated the one use for the kite could be for military reconnaissance - particularly in the Philippines where the kite could be used "in locating insurgents, and might be a means of saving a great many lives in addition to making military operations successful." After publication of the aerial photography experiments, Robert began receiving mail from across the the country from individuals interested in his work. Chicago Bridge and Iron Company, who would later become Robert's father-in-law. while his father, George, is the man to the left with the leg crutch. 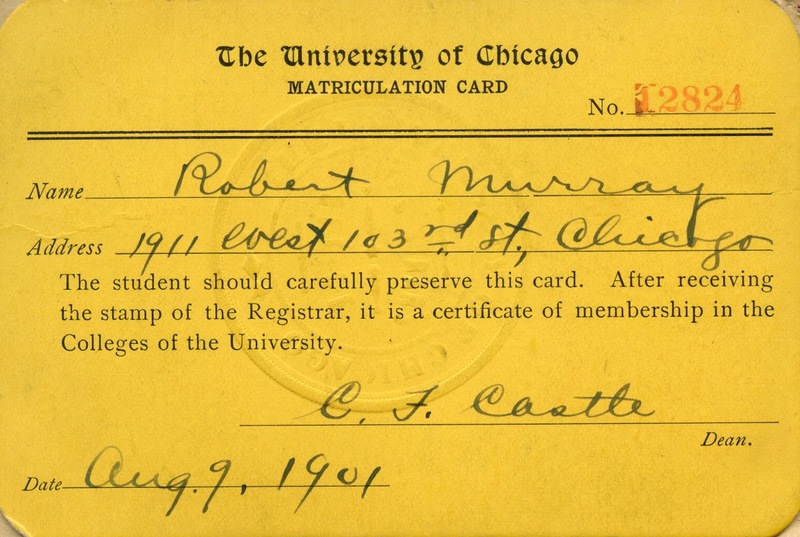 Soon after his kite aerial photography experiments, Robert enrolled at The University of Chicago and began his studies there on August 9, 1901. He quickly became actively involved a several organizations. On December 10, 1901, for instance, he was initiated into the Three-Quarters Club. beer or spirituous liquor" until reaching his majority, October 18, 1902. 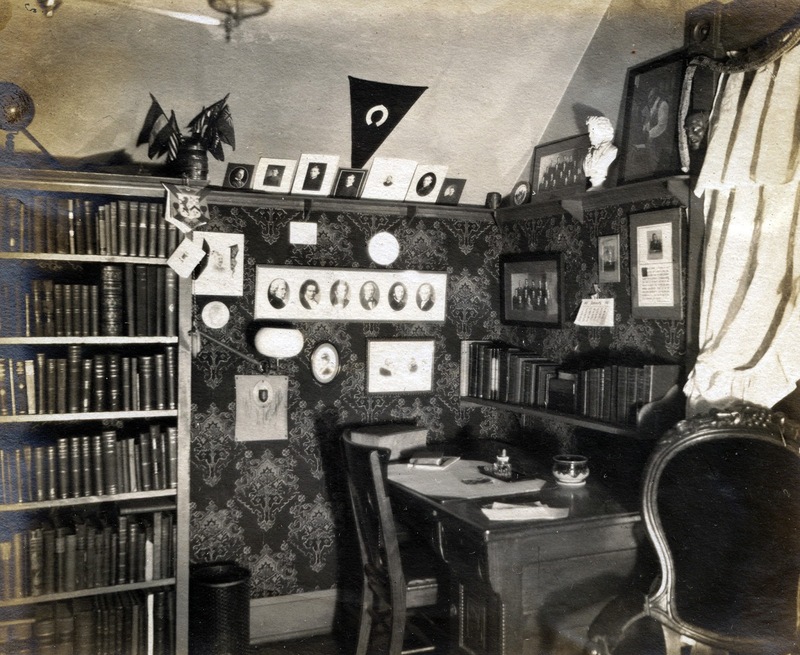 In 1895, the University of Chicago implemented a rule that "no freshmen could be initiated into any secret society until he had been a bona fide resident of the University for three quarters, or a period of time which usually makes up the college freshman year. This may have been a good thing for the freshman but he was the last one to acknowledge it. At any rate it left him for three entire quarters without the right to wear upon his waistcoat the emblem of any organization, but possessed of a manifest and uncontrollable longing to do so." Hence, four students decided in 1895 to create a underground club that initiated freshmen during the first quarter. 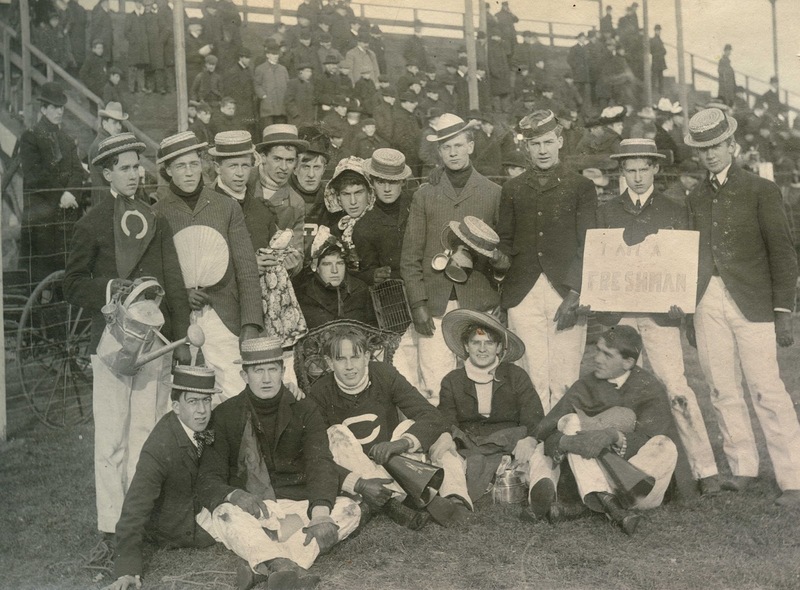 One of the primary functions of the club was to provide entertainment at University of Chicago football games. 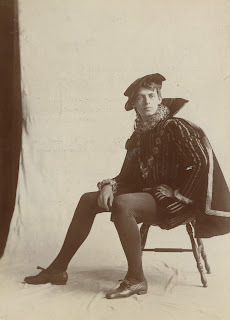 Robert was also a member of the Dramatic Club. of Chicago fans at a football game, 1901 or 1902. During his sophomore year, Robert became a member of the Delta Kappa Epsilon fraternity. Robert graduated on Tuesday, June 14, 1904. 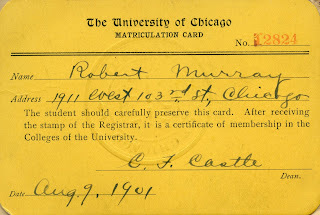 Upon graduation, Murray was one of sixteen seniors awarded a scholarship to attend the University of Chicago's Graduate School, which covered his entire first year of graduate school tuition ($120). It is unknown if Robert pursued graduate studies despite given a financial incentive by the university to do so. 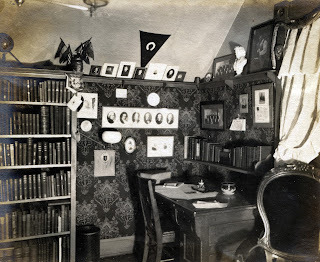 Kappa Epsilon fraternity house at the University of Chicago, 1903. 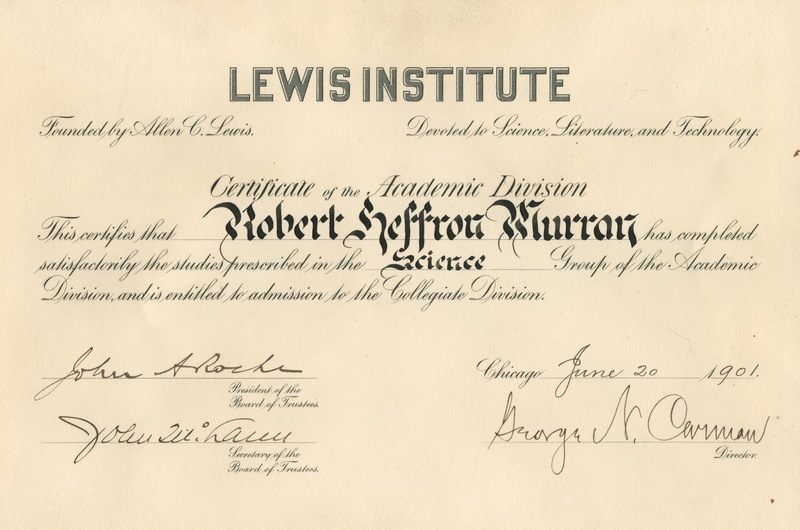 Upon graduation, Robert found employment in the Voucher Department of the Western Electric Company in Chicago. 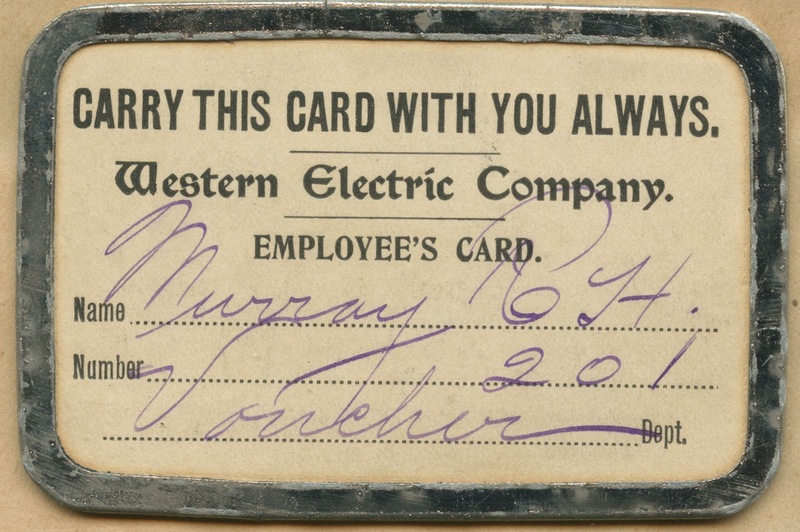 Robert's employment with the Western Electric Company was short-lived and he was soon hired by the Paramount Knitting Company to work at its manufacturing facility at Waupun, Dodge County, Wisconsin, in 1905. The Paramount Knitting Company was founded by Henry Pope, Sr., at Kankakee, Kankakee County, Illinois; it was one of the few companies with knitting mills located in the northern United States and it utilized knitting equipment invented by Dr. William Pope, the father of Henry Pope, Sr. The company manufactured and sold men's fleece-lined socks, children's socks, and stretch socks. 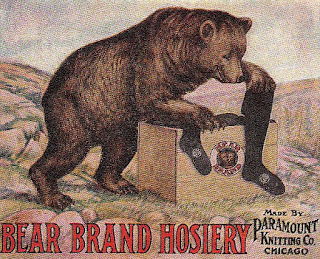 A successful manufacturer, Paramount Knitting Company was one of the largest hosiery manufacturers in the United States with its premier Bear Brand Hosiery. sold by the Paramount Knitting Company, circa 1910. Robert was transferred by Paramount Knitting Company to Virginia in order to manage the company's cotton-spinning mill operation located there. On November 4, 1905, at Richmond, Virginia, Robert married Sue Mary Horton; no children resulted from this union. Sue and Robert were childhood neighbors. Sue's father was an industrialist, Horace E. Horton, the co-founder of the Chicago Bridge and Iron Company. father [D(ear) O(ld) Dad], November 4, 1905. At some point after his marriage to Sue, the newlyweds moved to the Kankakee, Illinois, due to a company transfer to another cotton-spinning plant; they resided at a home located at 42 Cobb Boulevard that had frontage along the Kankakee River. 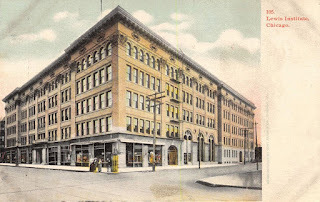 In 1910, Robert resigned his position at the Paramount Knitting Company. It is uncertain what field of employment Robert worked in after leaving the knitting company. Your one and a half score birthday is rapidly approaching and remembering with pleasure your natal-day letters to me, I guess I will fall in with what was never a Murray habit but one of your Mother's strong points. There is no call for advice and expressions of love and affection, would, though abundant make a very short letter. It has occurred to me that you might be interested in knowing what I recall of the life of my father, whose name you bear except that his middle name was "Henry". As to ancestry, you have a book giving same in tabulated form. The James Valentine Murray therein shown as his father came to American [Sic] in 1764 at the age of 20, with his twin brother, George William Murray. In about 1818 he married Harriet Tuck Ward, my Grandmother, whose picture in watercolor hangs in our hall. Grandma Murray then had three children. 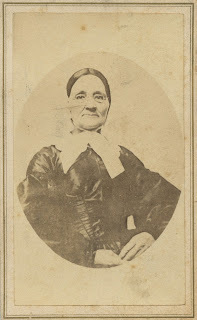 Maria, who married a North Carolina planter, Jane Arundul and Samuel A. Ward. 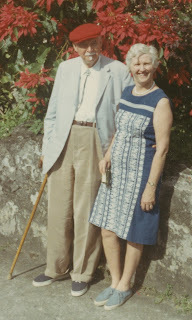 The last two named lived together until the death of Sam (Uncle Sam) and Aunt Jane thereafter lived at the Old Peoples Home in chicago until her death. 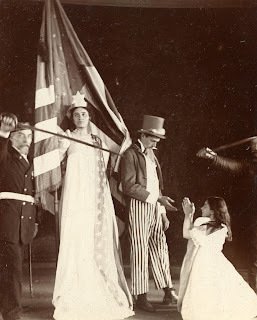 Maria had one daughter of same name, who lived with Uncle Sam in Chicago but later married Dr. Kelley of N. C. and afterwards upon his death a Mr. McCallum. She (Maria) left one daughter, whose name I don't recall. James Valentine Murray had only one child, your grandfather, and from what I was told, I do not think he had much house life. 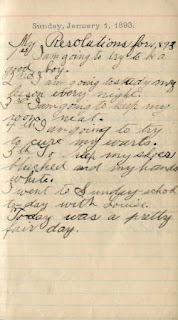 He was "put" to boarding school in Brooklyn at an early age, and was left a half orphan at the age of 9. His mother being an invalid, his Uncle George took him in charge, keeping him at school most of each year. On completion of his Engineering course, having had considerable field practice during vacations he came West in 1837 with a letter to Bronson Murray, then one of the Division Engineers of the Mich. Cen. Ry., Col. Berrien [Colonel John M. Berrien] being the Chief Engineer. He commenced work at once and continued with the Company from that time until the road reached Chicago. For part of one year, he was Agent for the Road at New Buffalo [Berrien County, Michigan], but soon tired of the work and took to the woods again with his transit [a transit is a optical instrument utilized by surveyors to measure angles in both horizontal and vertical planes]. You have heard how he became interested in the writings of Swedenborg [Emanuel Swedenborg, b. 1688 d. 1772, was a noted inventor and scientist] through the kindness of Evander Fisher, my mother's brother, with whom he boarded for a time in Detroit. 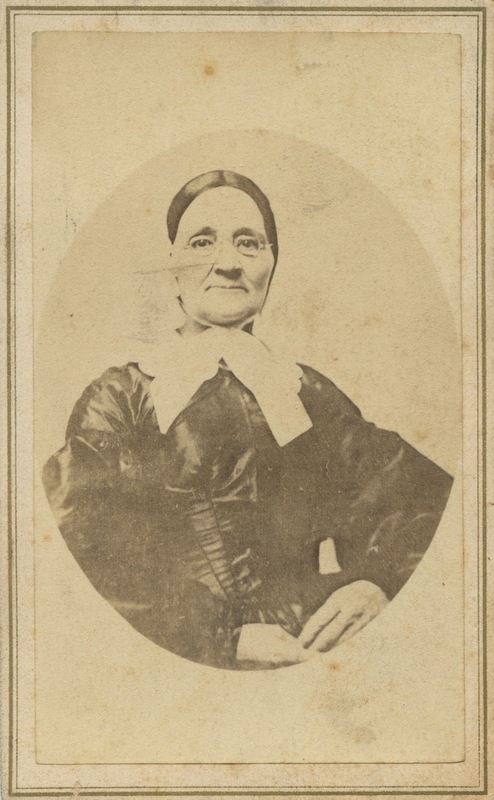 And how by interest Mother took in the same, and by the charm of her personality, he fell in love with both her and her religion, and after five years of interval courting took her to wife, with her son William B. Boutwell and duly and regularly begat Sister Hattie at Albion [Calhoun County, Michigan], Sister Mary at Kalamazoo [Kalamazoo County, Michigan] and at Niles [Berrien County, Michigan], Your Aunt Jennie at New Buffalo, and poor brother Tom at 121 Dearborn St. (old No.) in Chicago. When the road [Michigan Central Railway] was completed to Chicago, father saw a good opening for furnishing fuel to the Ry. Co. not coal, but wood. He bought extensive tracts of land in Indiana and our old farm in Illinois, cutting the wood from the Indiana land and then selling it off for what it would bring. One piece that he sold for $70.00 to A. N. Hart, I sold through Warfield a few years ago to a Pittsburgh banker for $12000.00 all cash, the sand on it to be used in elevating the Fort Wayne tracks in Chicago. The same property now is in the heart of Gary [Lake County, Indiana] and worth over $200000.00. 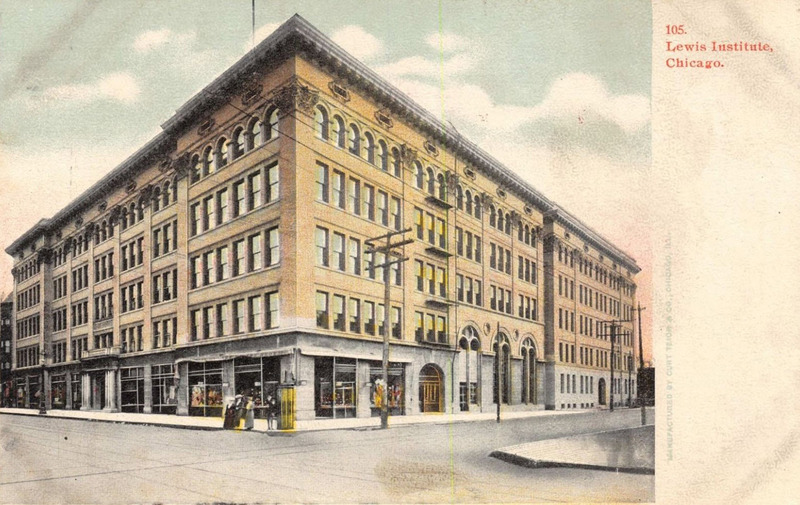 Father made money very rapidly and from his surplus bought an interest in a wholesale and retail hardware business at 73 Lake Street in 1853, buying an interest in Hammill Haight & Co. later firm was Murray Haight & Co. When the panic of 1857 struck the Country, father theretofore taking no active part in the business, was compelled to save the firm from failing with great loss, went into the store and took charge. By twists and turns, he finally got out whole, except the loss of his original capital, in about 1863, having induced James Pattee one of the New York creditors to buy or force out the other partners. When in 1860 he moved the stock up to Baraboo [Sauk County, Wisconsin], the firm was known as Pattee and Murray. There was no Ry. at Baraboo at the time and goods had to be totted from Portage [Columbia County, Wisconsin] by teams. During the strenuous days of wood gathering, he had a severe illness, typhoid, and being a child of old age, did not have a very strong constitution. The worries of the Hardware business, Oh Yes, that of a large engineering job he took in Iowa, on the Skunkn River in which he lost heavily, his health gave way gradually. In 1861 he went to Calumet [Cook County, Illinois], to live, where he undertook the business of hay farming. He was never able to work himself, but he gave his son George, plenty of opportunities. The farming was never a profitable deal and he made ends meet by selling off land in Indiana. The places we lived in Chicago were first on Dearborn St. as stated, then 15 Adams St., and later at 312 North La Salle St. near Oak. Col. Berrien, J. W. Brooks, Bronson Murray and John Gilbert often came to our house. Brooks was President of the Mich. Cen. Gilbert like father a field engineer. 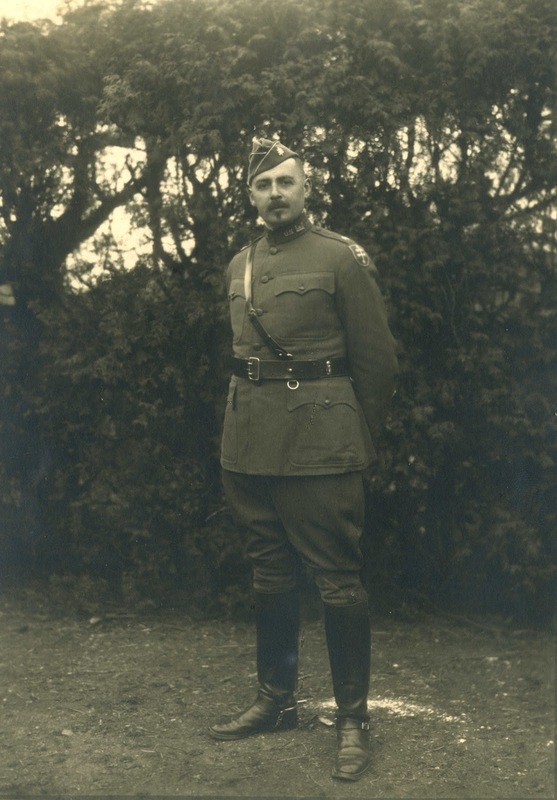 On May 23, 1917, now residing with Sue at 10204 Longwood Drive, near their childhood homes, Robert was commissioned a captain in the United States Army Reserves. He was elevated to a major when ordered to report for training and eventual deployment to Europe. Upon his active duty in Europe, Robert was promoted to lieutenant colonel. Hereafter, Robert was often referred to Colonel Murray. Lieutenant Colonel Murray commanded the 311th Engineer Regiment and the 21st Engineer Regiment. The 311th Engineer Regiment was a part of the 86th "Black Hawk" Division, largely composed of men from Illinois and Wisconsin. The 311th sailed for France on September 9, 1918, on the Empress of Asia, a 570-foot long and 68-foot wide troop ship. On October 3, 1918, the 86th Division was ordered to be "skeletonized," returning to the United States in November 1918 and inactivated in January 1919. 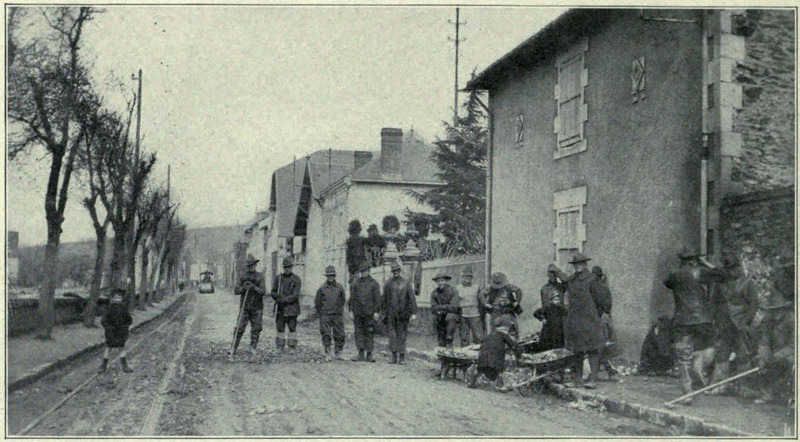 Aixe, Haute Vienne, France, southwest of Limoges. While Colonel Murray served in the Great War, most of his time was spent constructing facilities for training at Camp Grant in Illinois. Military records do not indicate that Murray's regiment ever saw battle, which is understandable since the 311th Engineer Regiment did not enter Europe until the tail end of the war. 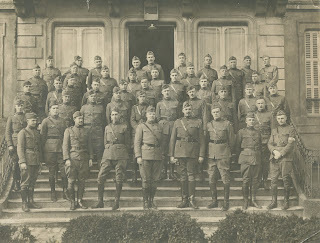 Officers of the 311th Engineer Regiment, United States Army. front row, fourth from right. Note that Murray was a tall man, standing 6' 3". Upon return to the United States, Robert appears to have gained employment as an engineer. 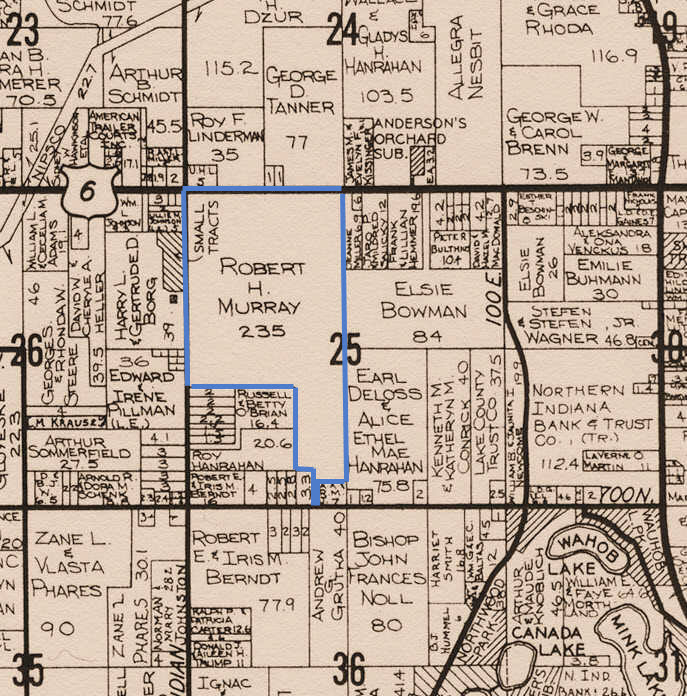 The 1920 Federal Census for Chicago reveals that Robert and Sue Murray were residing in an apartment structure located at 1600 51st Street. 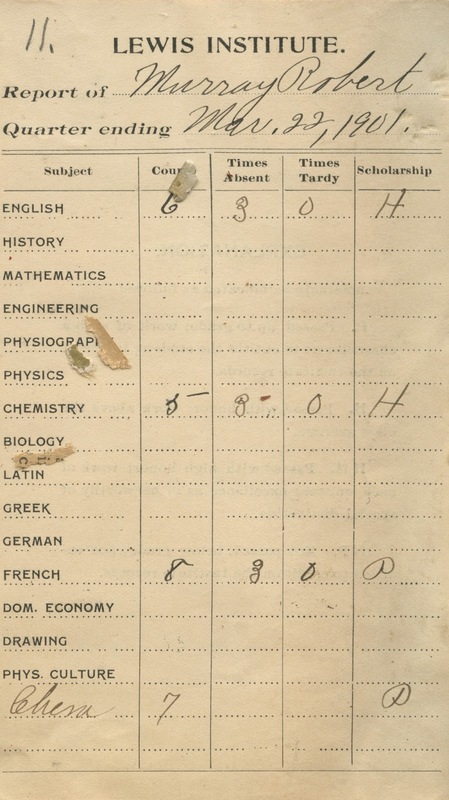 The same census record indicates that Robert was employed in the steam engine industry as a civil engineer. In 1926, perhaps with funds saved through work and inheritance, Robert Heffron Murray founded the Neumode Hosiery Company, a knitting company specializing in the production and sales of stockings for women. Murray's company was very successful, even as the Great Depression resulted in the collapse of tens of thousands of businesses across the United States. By 1933, Murray's company had 56 stores operating throughout the Midwest retailing Neumode stockings, as well as Paramount's Bear Brand hosiery. 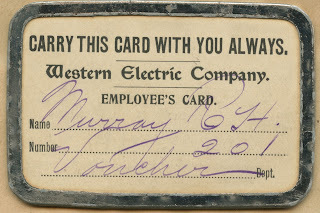 Murray served as president of the company until his death in 1972. 10, 1947. The trademark expired on November 3, 1992. Source: United States Patent and Trademark Office, Serial No. 71543975. In 1930, Robert and Sue Murray were residing in an apartment at 5801 South Dorchester Avenue in Chicago. The thirteen story apartment structure still stands between the Museum of Science and Industry and the University of Chicago. Apparently, the apartments were very high end accommodations since the value listed in the census for the Murray's apartment, which they owned, was $25,000. Their neighbors included a physician, a dentist, newspaper drama critic Gail Borden (the great grandnephew of the inventor of condensed milk), and numerous university professors. It has been noted that Robert Murray may have been an agriculturist at heart. His maternal grandfather, whom he associated with often as a boy and young man, was Reverend Daniel Salisbury Heffron, a prominent naturalist and horticulturist whose intimate associates included famed naturalists Asa Gray and Louis Agassiz. Reverend Heffron moved to Chicago in 1868 where he engaged in a the wholesale and retail seed business at 170 Lake Street, first as Morris & D. S. Heffron and soon after as simply the D. S. Heffron Seed Company. Prior to moving to Chicago from Utica, New York, Heffron was a noted developer of several varieties of potatoes, notably the "Early Rose" and "Excelsior" varieties. Engraving of the "Early Rose" potato variety developed by Daniel S.
Heffron, maternal grandfather of Robert Heffron Murray. Heffron's seed business was destroyed by the Great Chicago Fire of 1871, but Heffron rebuilt. By 1876, Heffron had sold his successful seed business to his business manager H. G. Savage. Savage renamed the business King & Savage and operated from a storefront at 77 State Street in Chicago. Meanwhile, Reverend Heffron concentrated his efforts on organizing the Bethany Union Church, a congregation he led as pastor for more than 17 years and which still exists. Alternatively, perhaps Murray's training in engineering led him to believe that rapid advances in agriculture could be achieved through the application of engineering principles to farm operations? 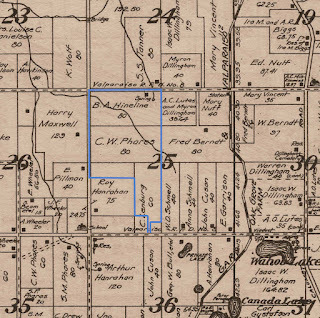 What is known is that Colonel Murray purchased 80 acres in Liberty Township in 1934, located in the northwest quarter of Section 25, east of Meridian Road. The purchase of five additional parcels by 1954 resulted in 235 acres under Murray's ownership. Almost immediately after his 1934 purchase, Colonel Murray hired Leroy "Pete" Hanrahan as his farm manager. 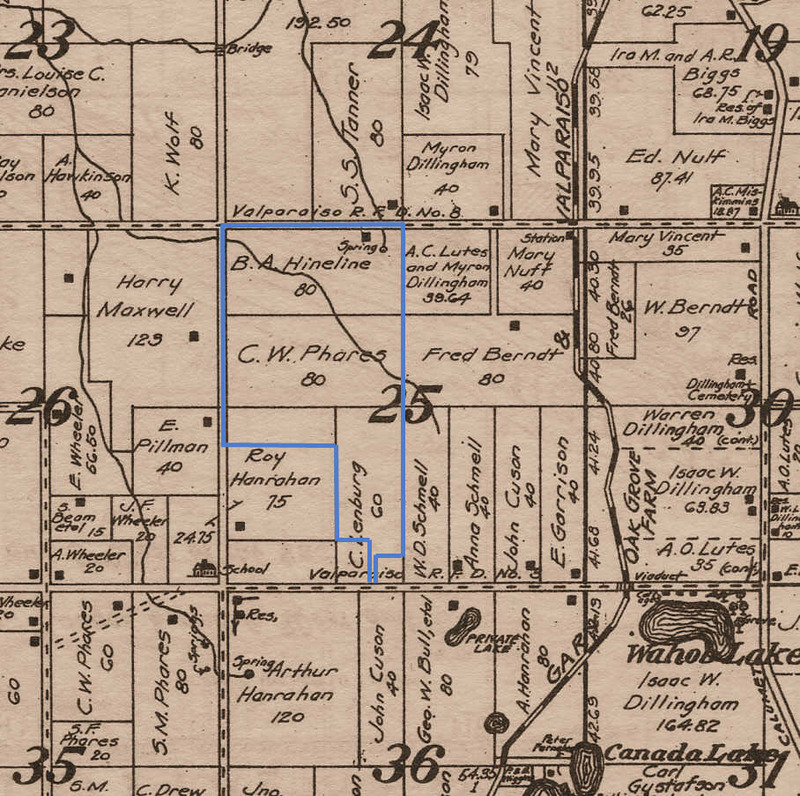 Pete, who was 26 years old when hired by Murray, was raised on his parent's (Roy E. and Mabel C. Hanrahan) farm, which was located directly south of and adjacent to Murray's newly purchased property. Pete's uncle owned and operated a 126 acre farm north of U.S. Route 6 on land now occupied by the Porter Regional Hospital. 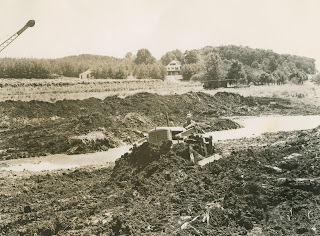 Thus, Pete was already intimately familiar with Murray's property when he was hired as the farm manager, and he was instrumental in the development of the farm. Typical newspaper advertisement placed by Sunset Hill Farm. Source: The Vidette-Messenger, February 20, 1937. 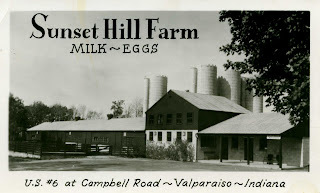 Postcard image of Sunset Hill Farm, circa 1956. 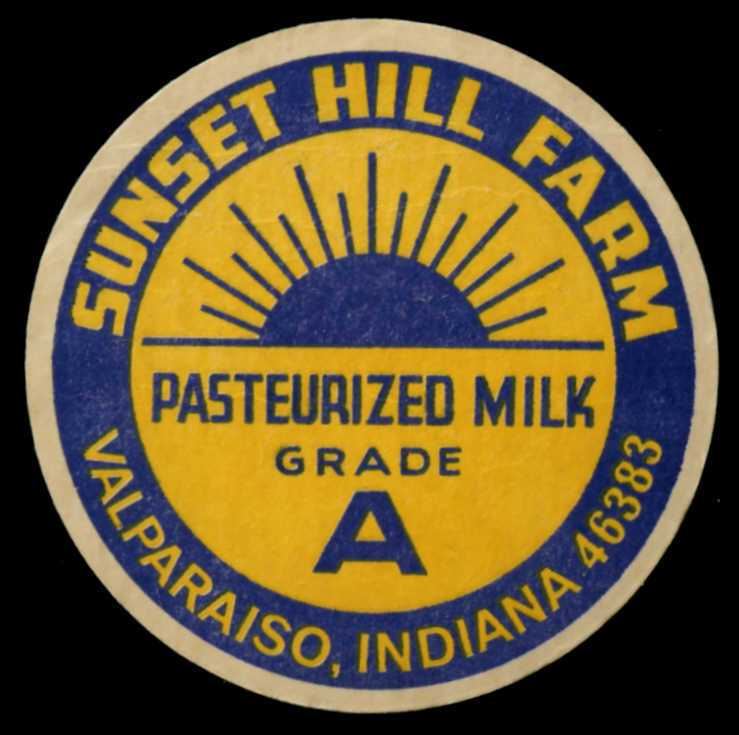 Milk cap from Sunset Hill Farm, circa 1950s. 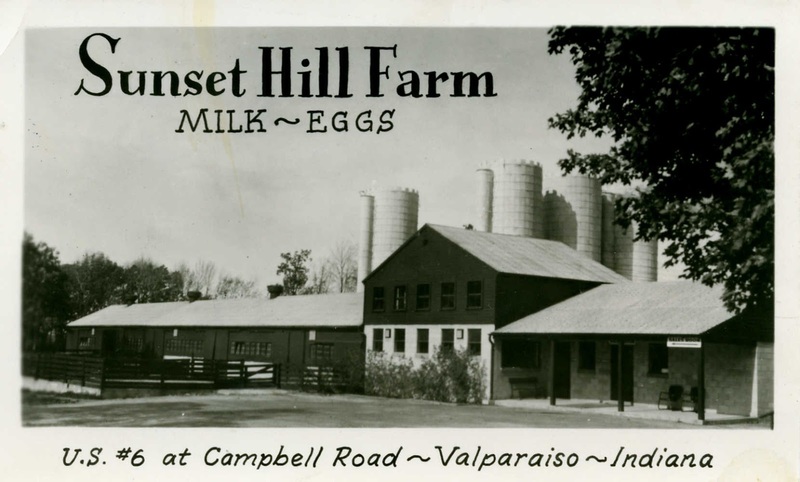 The principal agricultural products produced at Murray's Sunset Hill Farm included fluid milk, chicken hatchlings, broilers, and eggs. 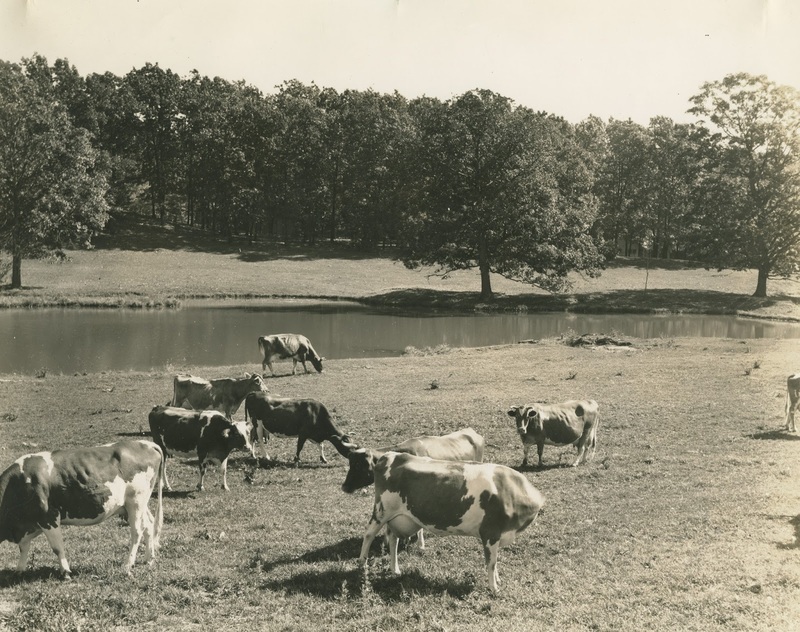 Pasteurized milk was sold directly from the farm beginning in 1939, a gallon priced at 30 cents. Direct farm sales of milk were later discontinued and milk was instead delivered to Dixie Dairy in Gary, Indiana, for processing and sale under the Dixie Dairy brand. 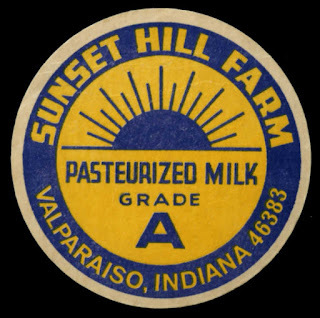 In 1970, Sunset Hill Farm's dairy herd was producing over 400 gallons of milk per day. Dairy operations at the farm ceased in 1978. 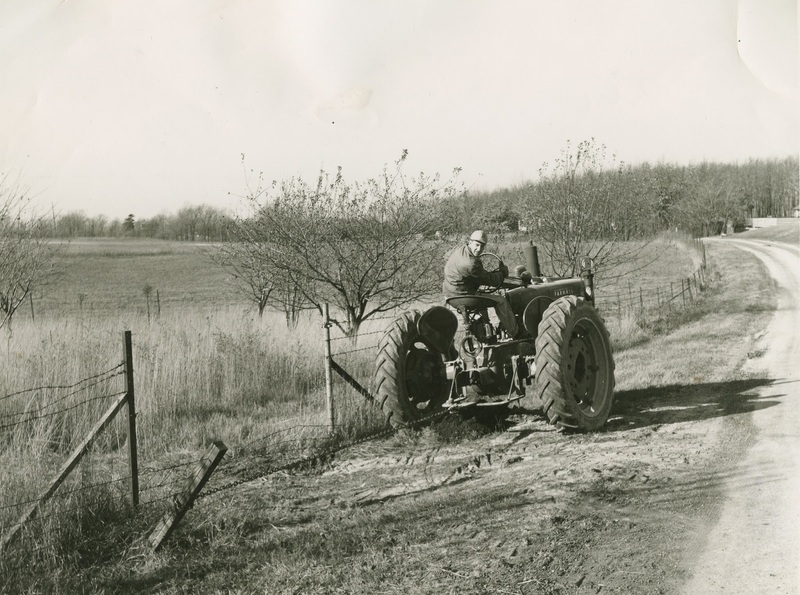 By 1940, Robert and Sue Murray were residing at their farm in Liberty Township. The 1940 Federal Census record indicates that five individuals were living within the Murray household; namely, Robert, Sue, Elfada Heimburg (maid), Elizabeth Ault (maid), and Robert Anderson (chauffeur). Pete Hanrahan is shown living in a tenant home on the farm with his wife, Helen, and two-year-old daughter, Sharon. 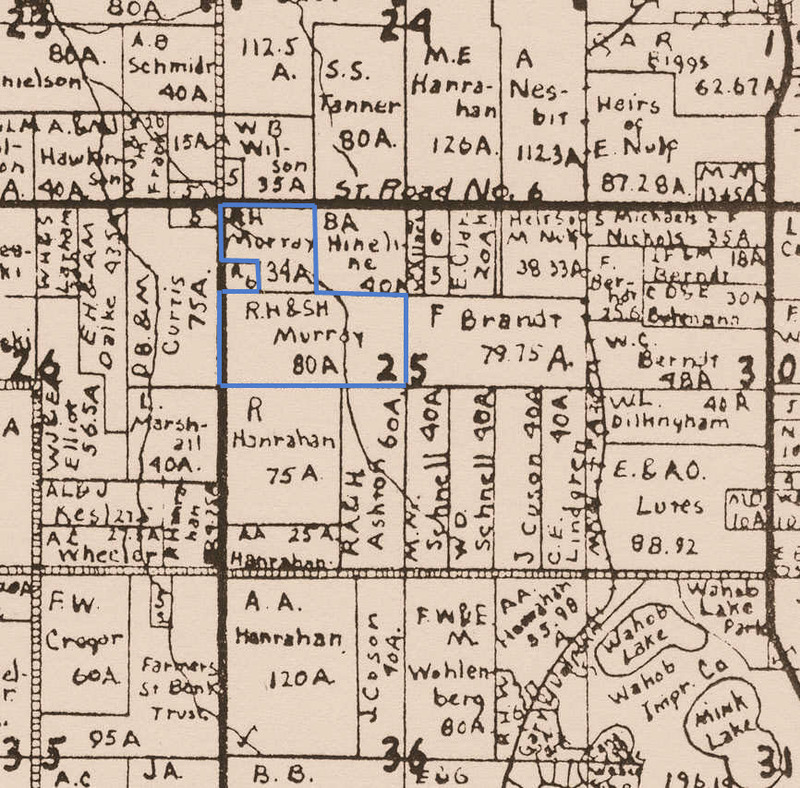 Also living in the Hanrahan home were Delmar Berger (hired hand, herdsman) and Kenneth Raider (hired hand, herdsman). Two tragedies struck Sunset Hill Farm in the 1950s. The first misfortune was the death of Murray's farm manager, Pete Hanrahan. 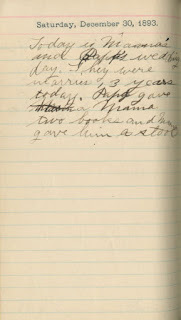 Hanrahan had gone to the barn on the Sunset Hill Farm property to check on the livestock around 6:15 am on December 3, 1952. Hired farm hands found Pete fifteen minutes later sitting dead on a hay bale in the barn, the victim of a heart attack at the young age of 44. 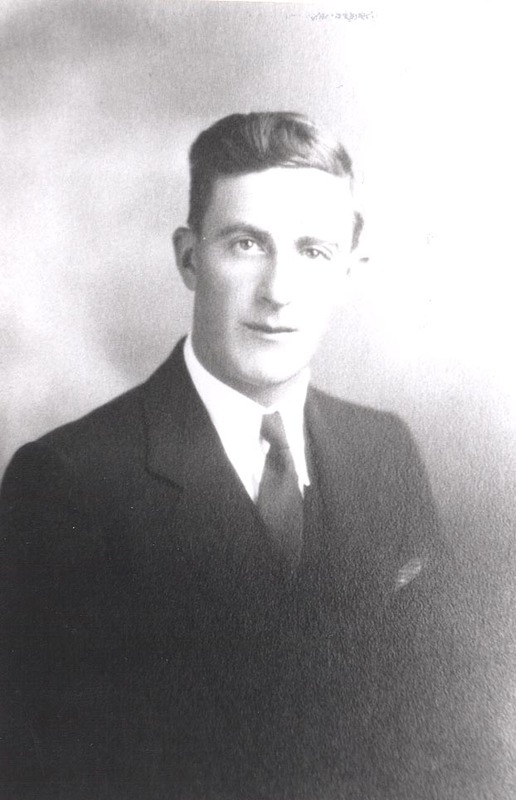 Lloyd M. Prosser, who had been residing in one of the tenant houses on the farm with his wife, Ethel, since 1942, took over as manager of the farm. Lloyd and Ethel also became co-owners of Colonel Murray's dairy and poultry business at about the same time Lloyd became the farm manager. first farm manager of Sunset Hill Farm. The second tragedy involved property loss. 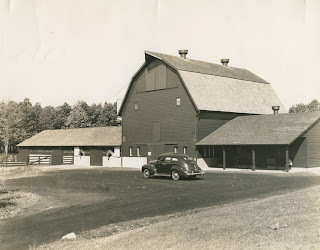 In particular, a fire that destroyed the Sunset Hill Farm barn during the late morning hours of July 29, 1954. 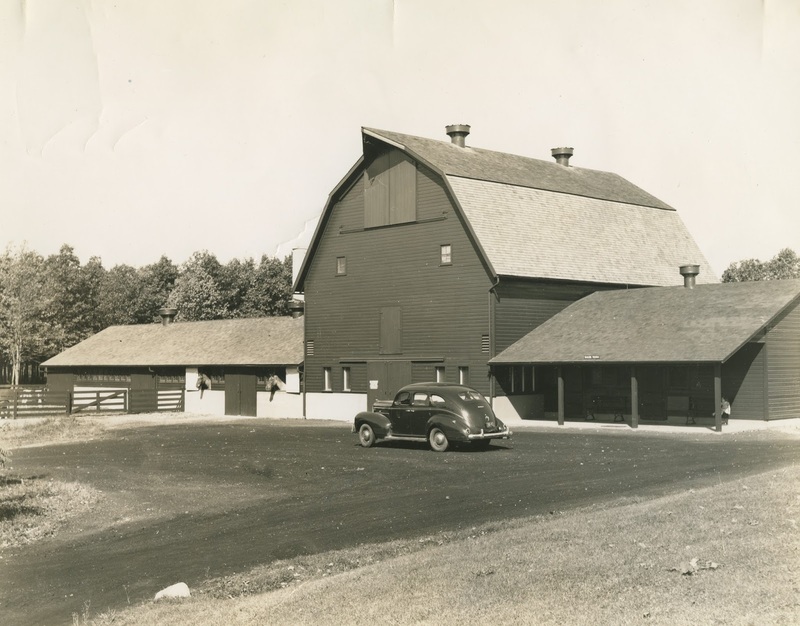 The 60-foot by 30-foot barn was completely destroyed by the fire, as were 1,200 bales of hay and the office and sales room for the dairy operation. A seven horsepower fan running on top of the barn to cool down the 98 degree temperature was the cause of the fire, throwing sparks that ignited flammable material. At the time of the barn fire, there was no volunteer fire department serving Liberty Township. As a result, the first unit on the scene was a Valparaiso fire engine, which was used to protect a nearby machine shed from flying embers. Chesterton firefighters showed up shortly afterward, setting up a water pump and hose line at the nearby pond. A Union Township fire truck then appeared, hooked up a hose from the Chesterton engine, and kept the flames from entering the dairy stall section of the barn. More than 200 spectators stopped at the farm to view the conflagration. Many "old timers" have stated that the Sunset Hill Farm barn fire was one of the most spectacular blazes that Porter County had experienced up to that date. After an hour of spraying water, firemen eventually gained some control over the fire. Largely due to the Sunset Hill Farm barn fire, the Liberty Township Volunteer Fire Department was formed by citizens of the township. This volunteer fire department was formally organized on Saturday, April 23, 1955, at the Liberty Township School; more than 450 individuals attended the organizational meeting. 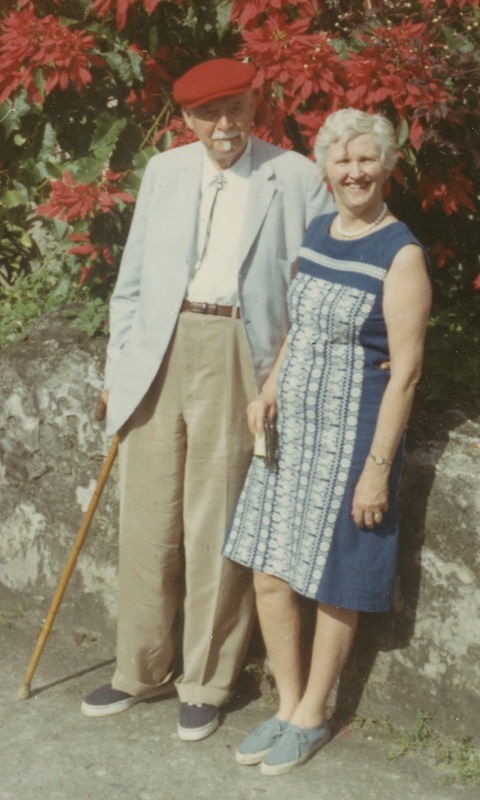 After Robert's wife Sue died on Monday, February 26, 1962, he remarried Elizabeth (Linn) Allen, the widow of John B. Allen, on Saturday January 11, 1964, at the farm. Elizabeth, commonly referred to as "Bips," was a former member of the Chicago Board of Education and the grandniece of Jane Addams, a very well-known early Twentieth Century progressive and the founder of Hull House in Chicago. Colonel Murray passed away on Saturday, October 28, 1972, at Valparaiso. Elizabeth "Bips" Murray died on Saturday, June 14, 1997, at Washington, DC. Elizabeth "Bips" (Linn) Allen Murray, circa 1970. Murray was known for his kindness and generosity. During the winter holiday season, for instance, he would regularly zero out balances owned by his farm patrons. He held a life membership at the Art Institute of Chicago, being a very early member of the organization's "Life Membership Fund." Murray bequeathed Sunset Hill Farm to Purdue University, most likely due to his active involvement in the institution's agricultural extension program. 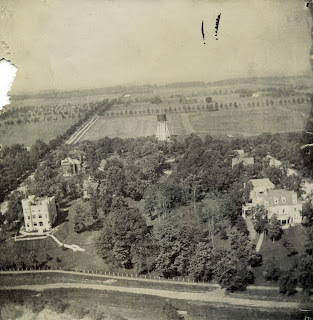 Purdue declined the Murray's gift and instead the farm was gifted to Porter County, which later developed the property into the first county park. were retailed from the wing extending from the right side of the barn. Colonel Murray's home at Sunset Hill Farm, circa 1940s. 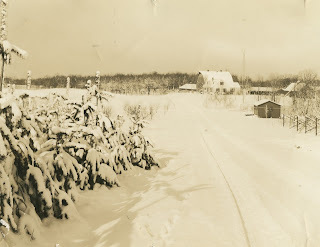 at Sunset Hill Farm, circa 1940s. Dairy cattle at Sunset Hill Farm, circa 1940s. 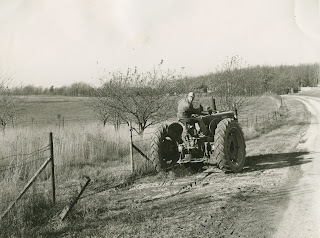 Stretching woven fence with a tractor at Sunset Hill Farm, circa 1940s. Farm manager Pete Hanrahan is at the wheel of the Farmall tractor. 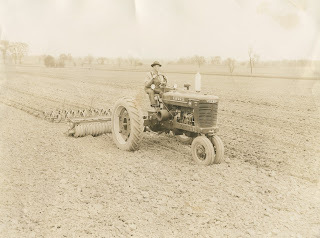 Preparing a field by harrowing at Sunset Hill Farm, circa 1940s. Farm manager Pete Hanrahan is operating the Farmall tractor. 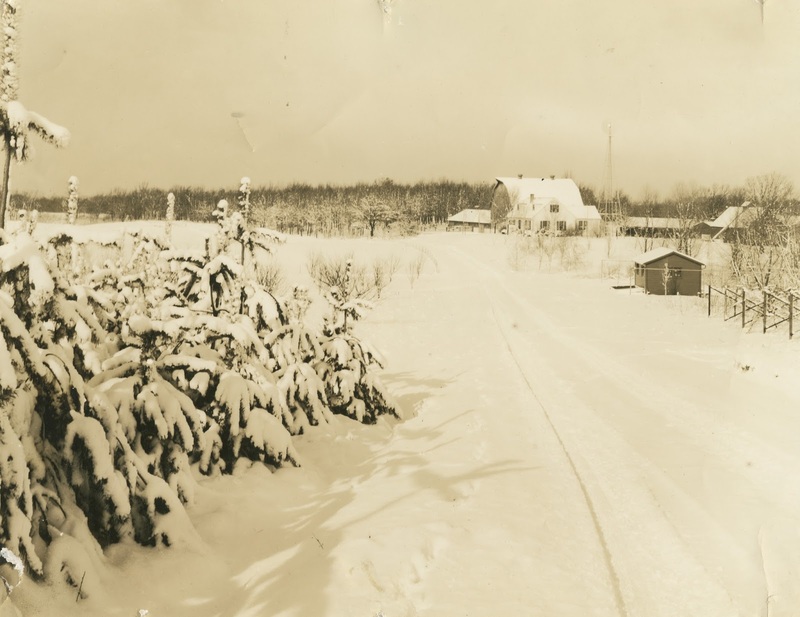 A winter scene at Sunset Hill Farm, circa 1940s. boundaries (Section 25 in Township 36 North, Range 6 West). Source: Hardesty's Illustrated Historical Atlas of Porter County, Indiana, 1876. Source: Lee & Lee's Atlas of Porter County, Indiana, 1895. Townships of the County, 1906. Townships of the County, 1921. Book of Porter County, Indiana, 1938. Porter County, Indiana: Plat Book and Index of Owners, 1973. Robert Heffron Murray, January 18, 1881. Died: Unknown. Still living on April 20, 1940, residing with her daughter Louise (Murray) Ellsworth in Chicago, Cook County, Illinois. mother of Robert Heffron Murray, 1878. Note: Daniel Heffron was a noted horticulturist and naturalist, a close friend of famed naturalists Asa Gray and Louis Agassiz. maternal grandfather of Robert Heffron Murray, 1881.
maternal grandmother of Robert Heffron Murray, 1881. George A. Ogle & Company. 1906. Standard Atlas of Porter County, Indiana: Including a Plat Book of Villages, Cities and Townships of the County. Chicago, Illinois: George A. Ogle & Company. 55 p.
George A. Ogle & Company. 1921. 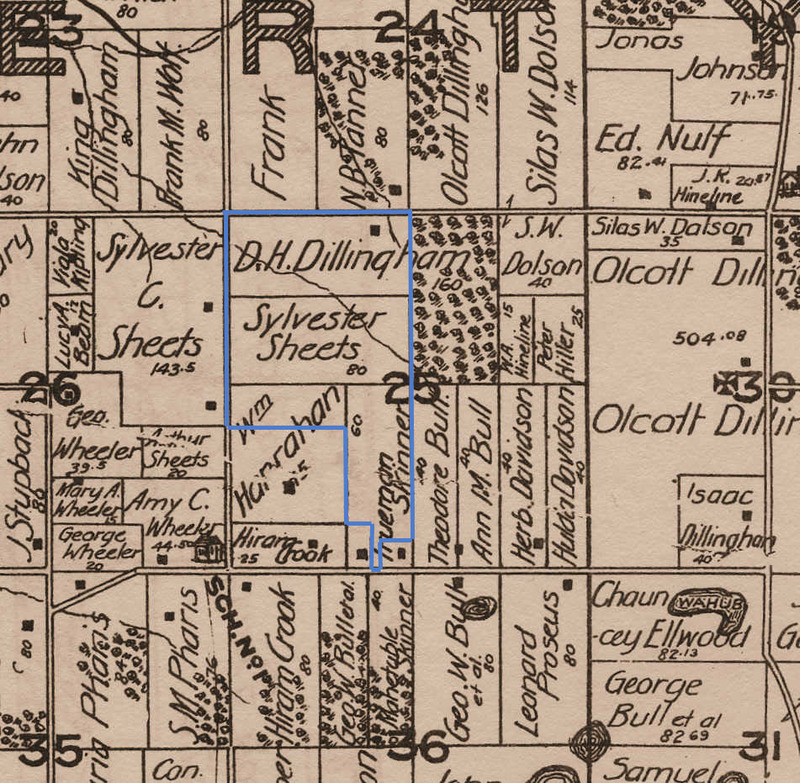 Standard Atlas of Porter County, Indiana: Including a Plat Book of Villages, Cities and Townships of the County. Chicago, Illinois: George A. Ogle & Company. 61 p.
Hardesty, A.G. 1876. 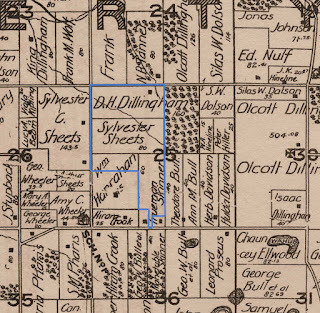 Illustrated Historical Atlas of Porter County, Indiana. Valparaiso, Indiana: A.G. Hardesty. 90 p.
Lee & Lee. 1895. Lee & Lee's Atlas of Porter County, Indiana. Chicago, Illinois: Lee & Lee. 81 p.
Porter County Abstract Company, Inc. 1938. 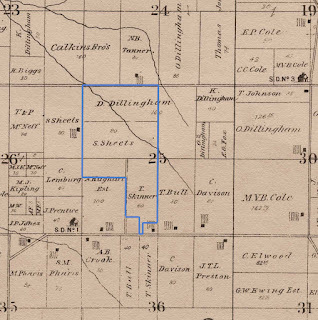 Plat Book of Porter County, Indiana. Valparaiso, Indiana: Porter County Abstract Company, Inc. 20 p.
Town and Country Publishing Company, Inc. 1973. 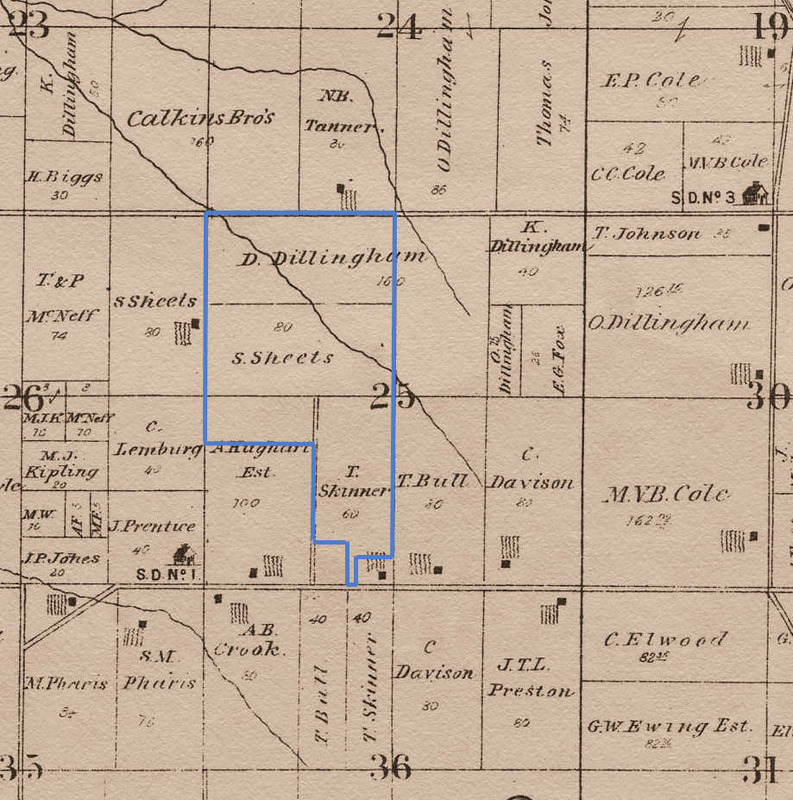 Porter County, Indiana: Plat Book and Index of Owners. LaPorte, Indiana: Town and Country Publishing Company. Inc. 48. Anonymous. 1910. Obituary: Rev. D. S. Heffron. The American Florist 34(1142):625. Anonymous. 1916. Life and Governing Life Memberships. Bulletin of the Art Institute of Chicago 10(6):211-212. Anonymous. 1921. Obtiruary: William W. Barnard. The Seed World 9(6):22. Heffron, D.S. 1868. Early Rose Potato. Tilotson's Journal of Horticulture 3:147. Plummer, Dallas. Undated. 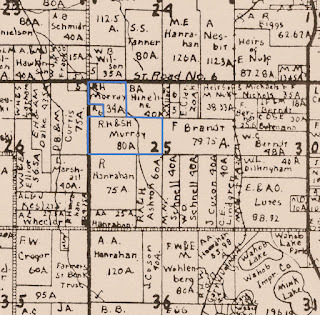 Researching Sunset Hill Farm County Park Genealogy. Sawyier & Williams, LLP. The University of Chicago Alumni Association. 1908. The Genesis of Student Customs. 1: The Three-Quarters Club. The Chicago Alumni Magazine 2(3-4):131-133. The Chicago Daily Tribune, Chicago, Cook County, Illinois; June 26, 1897, Volume 65, Number 177, Page 5, Column 1. Column titled "More Grammar School Graduates: Closing Exercises Held in Sixty-Seven Buildings, and Medal, Diplomas, and Prizes Awarded." The Chicago Daily Tribune, April 6, 1916; Volume 75, Number 83, Page 10, Column 4. Column titled "Calumet Golf Club Members to Visit New Site on Sunday," by J. G. Davis. The Chicago Daily Tribune, Chicago, Cook County, Illinois; May 24, 1917; Volume 76, Number 124, Page 3, Column 3. Column titled"'Officer, U.S.A.' Goes for These 35 Chicagoans." Englewood Times, Chicago, Cook County, Illinois; June 1, 1917; Volume 30, Number 41, Page 5, Column 5. Column titled "News from the Ridge." Chicago Sunday Tribune, Chicago, Cook County, Illinois; April 9, 1933. 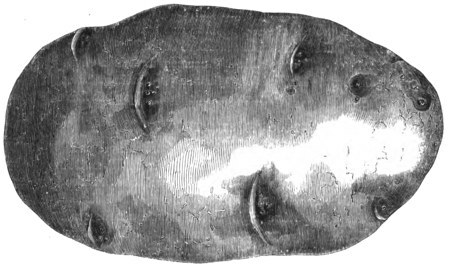 Volume 92, Number 15, Part III, Page 14, Column 8. Column titled "Neumode Hosiery Company Plans 7th Chicago Store." The Vidette-Messenger, Valparaiso, Porter County, Indiana; December 3, 1952; Volume 26, Number 128, Page 1, Column 5. Column titled "Heart Attack Fatal to Liberty Man: 'Pete' Hanrahan Is Found Dead In Barn On His Farm." The Vidette-Messenger, Valparaiso, Porter County, Indiana; July 29, 1954; Volume 28, Number 21, Page 1, Columns 6-7 and Page 6, Column 5. Column titled "Barn, Hay, Office Leveled By Blaze," by Bob Barnholt. The Vidette-Messenger, Valparaiso, Porter County, Indiana; July 30, 1954; Volume 28, Number 22, Page 1, Columns 5-7. Column titled "Plan to Replace Fire Leveled Barn On Liberty Township Farm At Once." The Vidette-Messenger, Valparaiso, Porter County, Indiana; April 26, 1955; Volume 28, Number 250, Page 10, Columns 4-6. Column titled "Officers Discuss Liberty's New Volunteer Fire Department." The Vidette-Messenger, Valparaiso, Porter County, Indiana; October 28, 1972; Volume 46, Number 99, Section 2, Page 8, Column 1. Column titled "Col. Robert Murray, 91." Chicago Tribune, Chicago, Cook County, Illinois; August 22, 1991; Column titled "Henry Pope, Jr., 88, Head of Hosiery Firm" by Kenan Heise. Chicago Tribune, Chicago, Cook County, Illinois; June 16, 1997; Column titled "Elizabeth Linn Murray, '50s School Board Member." The Times, Munster, Lake County, Indiana; June 17, 1997. Column titled "Elizabeth Murray Left Lasting Legacy to County," by Terri Anne Greig. Thanks for posting all this. I am a great great grandson of Robert Henry Murray, making Colonel Murray my first cousin twice removed. The material you have here provides confirmation of what little I had been able to find plus a lot more. I am especially interested in the mysterious Harriet Tuck, whose watercolor portrait is referred to in the letter from George William to his son. Can you provide any information on what became of it?